"Yeah, she looks like a painting..."
Relation to The Stone Roses: The Ten Storey Love Song video is based on a selection of Francis Bacon's works. Choice works: Version Two of Lying Figure with Hypodermic Syringe; Study after Velázquez's Portrait of Pope Innocent X; Head VI; Figure at a Washbasin; Portrait of George Dyer Staring into a Mirror; Crucifixion (1933). Francis Bacon was one of the most individual, powerful and disturbing artists of the post World War II period. 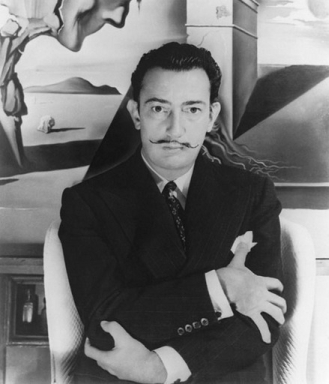 He took the human figure as his subject at a time when art was dominated by abstract styles, and he was also one of the first to depict overtly homosexual themes. Largely self-taught, he was widely read and of great independence of mind and remains a towering example to those dedicated to the depiction of the human figure. 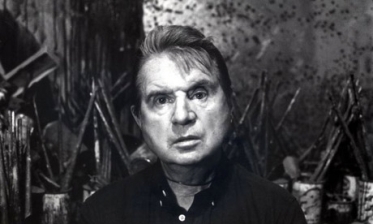 The Ten Storey Love Song video is based on a selection of Francis Bacon's works. Relation to The Stone Roses: John Squire's See You On The Other Side is based on the Buñuel / Dalí collaboration, Un Chien Andalou. Choice works: The Great Masturbator. John Squire's See You On The Other Side is based on the Buñuel / Dalí collaboration, Un Chien Andalou. 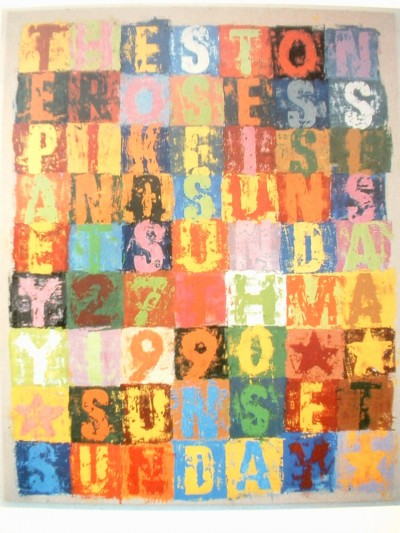 Relation to The Stone Roses: Damien Hirst is an influence on John Squire's artwork in his solo career. 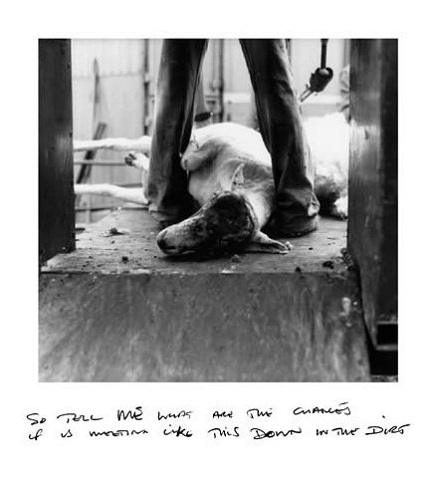 Choice works: The Physical Impossibility of Death in the Mind of Someone Living; Away from the Flock; Mother and Child Divided. 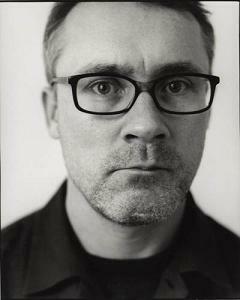 Damien Hirst is the leading artist of the group that has been dubbed 'Young British Artists' (or YBAs). Death is a central theme in his work. He is best known for his Natural History series, in which dead animals (such as a shark, sheep or cow) are preserved, sometimes dissected, in formaldehyde. His iconic work is 'The Physical Impossibility of Death in the Mind Of Someone Living', an 18ft tiger shark in formaldehyde in a vitrine. 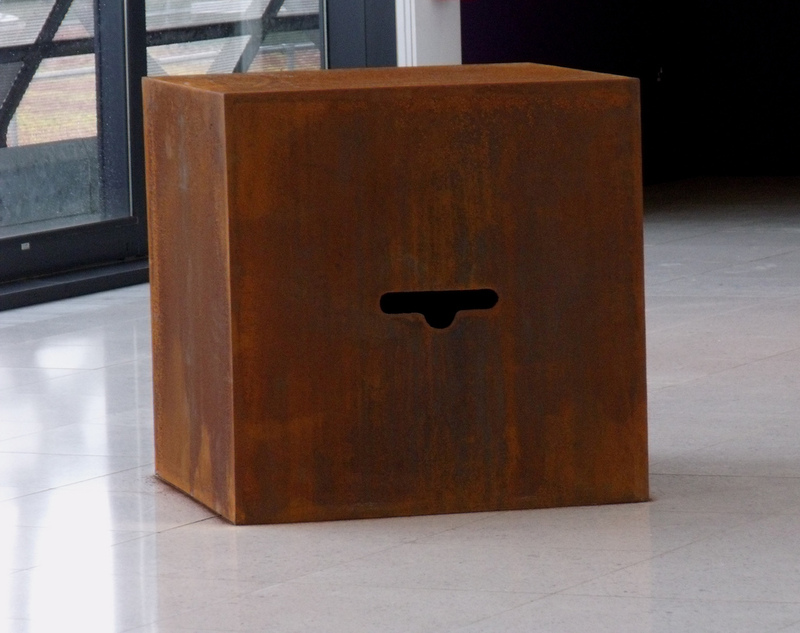 Its sale in 2004 made him the second most expensive living artist (after Jasper Johns). Hirst's name is emblazoned across a John Squire artwork entitled 'Strange Feeling'. Top row: John Squire's 'So Tell Me What Are The Chances Of Us Meeting Like This Down In The Dirt' and 'Just A Stone's Throw From Sin' bear the strong influence of Damien Hirst. Second row: 'The Physical Impossibility of Death in the Mind of Someone Living' (1991) by Damien Hirst. Third row: 'Mother and Child Divided' (1993) by Damien Hirst. Bottom row: 'Away from the Flock' (1994) by Damien Hirst. 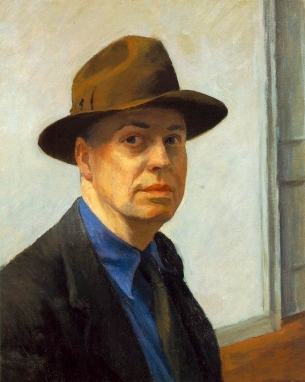 Relation to The Stone Roses: John Squire's second solo album, Marshall's House (and one b-side, Nighthawks) are based on the works of Edward Hopper. Choice works: Gas; Nighthawks; Summertime; Room In Brooklyn. 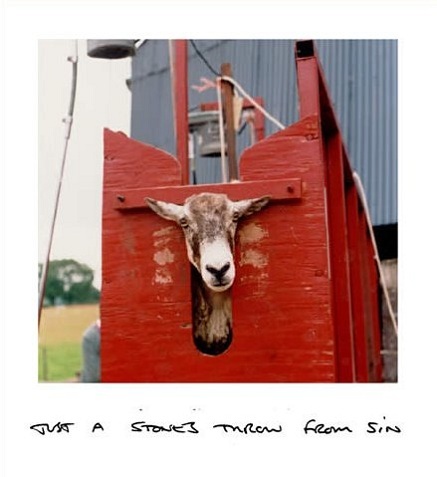 John Squire's second solo album, Marshall's House (and one b-side, Nighthawks) are based on the works of Edward Hopper, whose urban and rural scenes captured the isolation of Depression-era America. Gas (1940) and Nighthawks (1942) stand as exemplary glimpses into the starkness and loneliness of America as she strove towards modernisation. Relation to The Stone Roses: An influence on various John Squire artworks, such as Waterfall. Choice works: Three Flags; Numbers in Color; Zero To Nine; Target; Target With Four Faces. 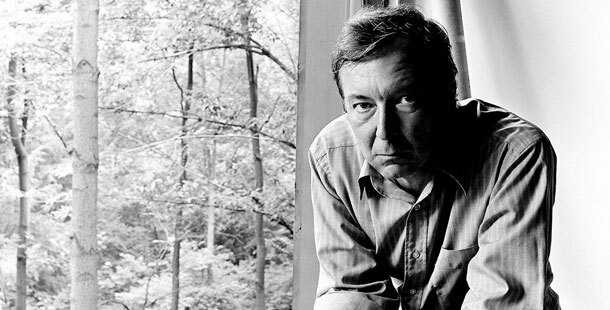 Along with Robert Rauschenberg, Jasper Johns was one of the leading figures in the American Pop Art movement. John Squire's Waterfall artwork fuses a Jasper Johns concept with a Jackson Pollock technique, showing a paint-splattered American flag encroaching upon the Union Jack. This was symbolic of the increasingly dominating influence that the U.S. held over British culture. Squire acknowledges the influence of Johns on the Waterfall artwork in a Q issue ('The 100 Best Covers Of All Time') from 2001: "It is a little bit Jasper Johns ... I was aware of that. I liked him as well." Flags, maps, targets, stenciled words and numbers were themes used by Johns in the 1960s. I propose that John Squire's Spike Island artwork (1990) takes inspiration from this field of work. Top left: 'Numbers in Color' (1958 - 59). Top right: Spike Island artwork. This would serve as the prototype flyer design for the group's 2012 reunion tour. 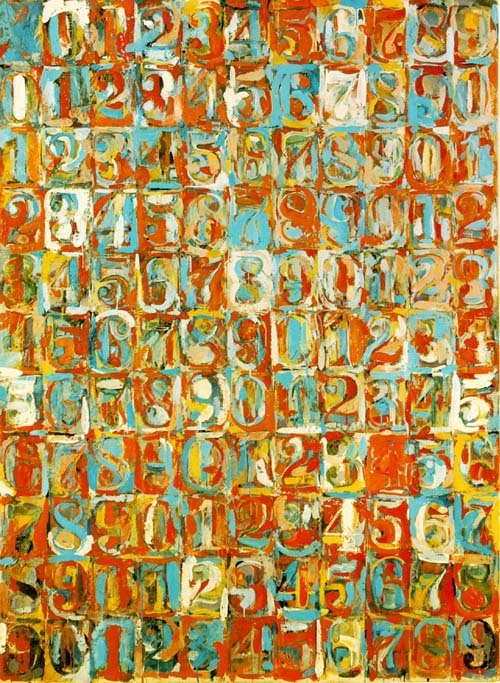 Bottom left: Ten Numbers (detail, 1960 - 71), Jasper Johns. 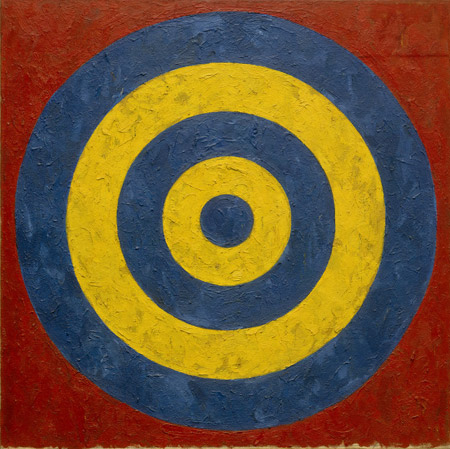 Bottom centre: Target (1958) by Jasper Johns. Bottom right: Second Coming artwork (detail), John Squire. See, also, the possible influence of Target With Four Faces on Squire here. 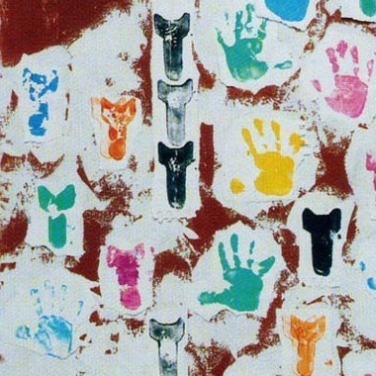 The hand of Jasper Johns is discernible, too, in the 2005 John Squire artwork, Help! A Day in the Life. 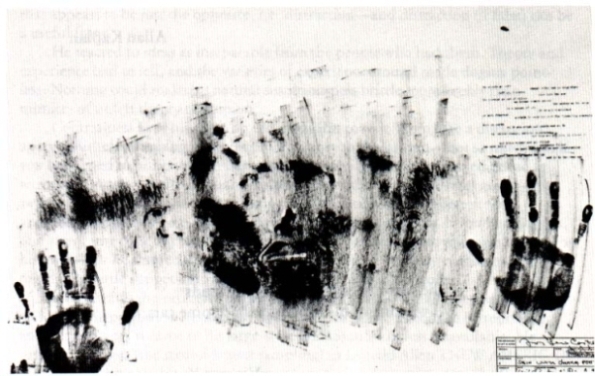 Left: In the 1963 lithograph Skin with O'Hara Poem, rather than use a litho crayon or brush, Jasper Johns pressed his hands and face onto the litho stone, creating the impression that the artist is trapped in his own work and attempting to push his way out. Right: Help! A Day in the Life (detail, 2005) by John Squire. Relation to The Stone Roses: An influence on John Squire from a young age. 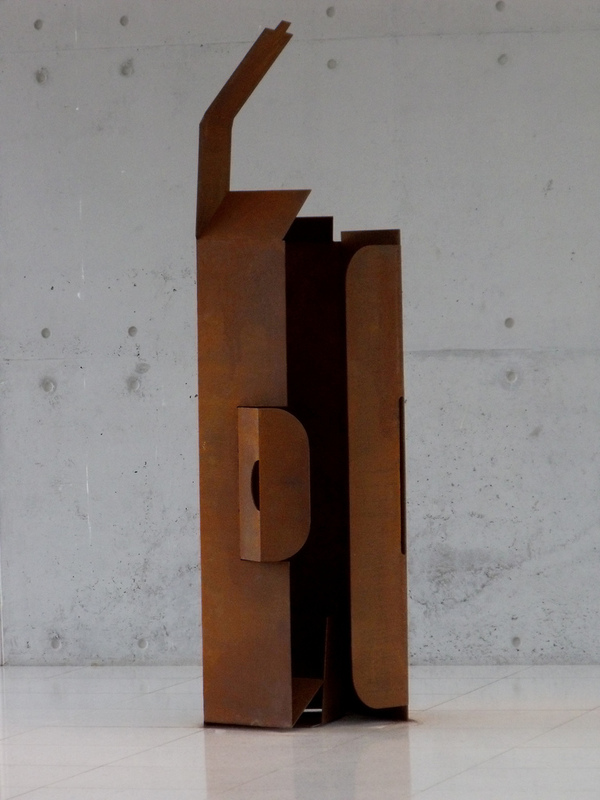 Choice works: Composition VII; Composition VIII. 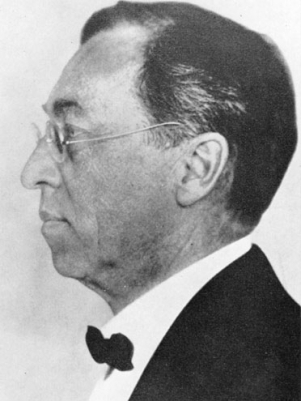 John had a great fondness for art, being especially passionate about Pollock and Kandinsky, and was allowed to skip games in order to spend more time in the art room. 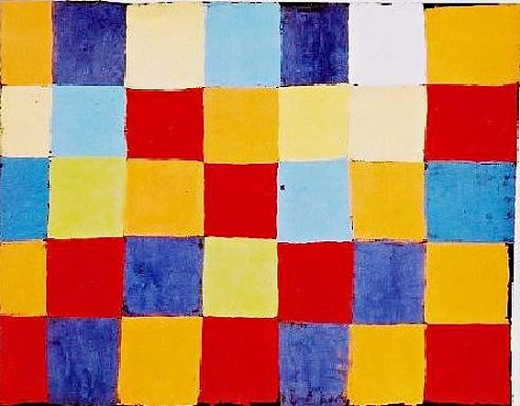 Relation to The Stone Roses: Paul Klee's Farbtafel informs the 'Help' LP artwork. 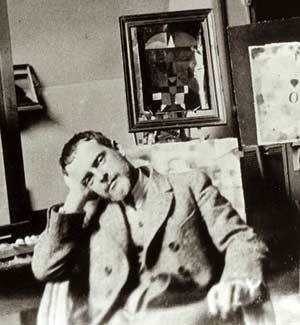 Paul Klee is regarded as a major theoretician among modern artists. In much of his work, he aspired to achieve a naive and untutored quality, but his art is also among the most cerebral of any of the 20th century. Klee's wide-ranging intellectual curiosity is evident in an art profoundly informed by structures and themes drawn from music, nature and poetry. Left: 'Farbtafel' (1930) by Paul Klee. 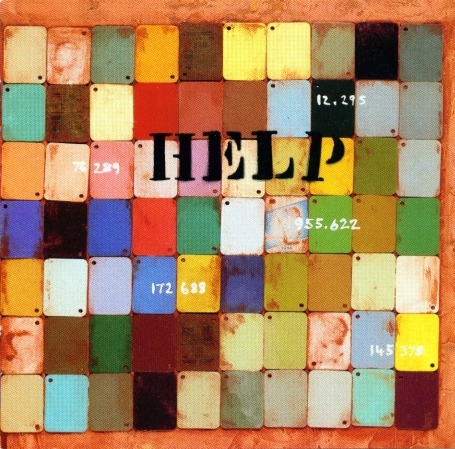 Right: 'Help' LP front cover artwork (1995) by John Squire. Relation to The Stone Roses: John Squire's 2008-2009 exhibition, 'Heat, Light, Death & Industry', draws inspiration from the work of Agnes Martin. 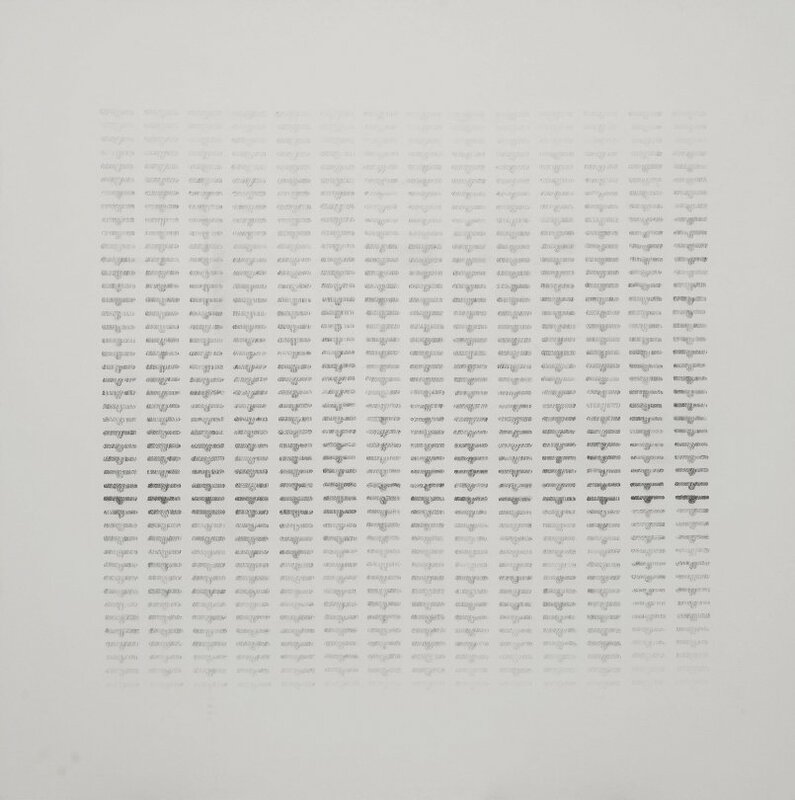 Top row: 'To Agnes Martin' (pencil on gesso, 72" x 72", 2009). 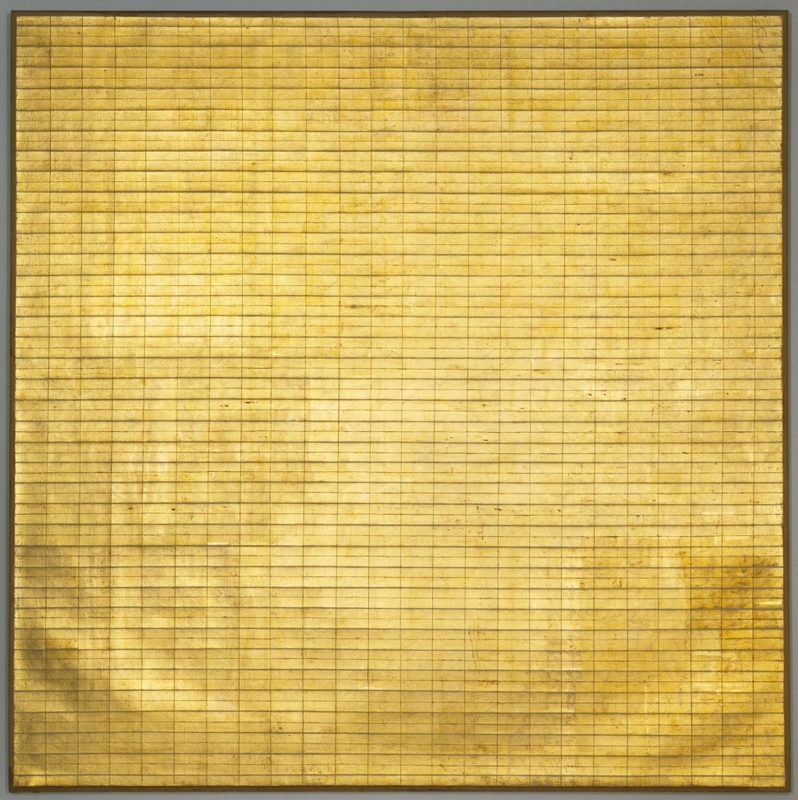 Second row: 'Friendship' (1963) by Agnes Martin. 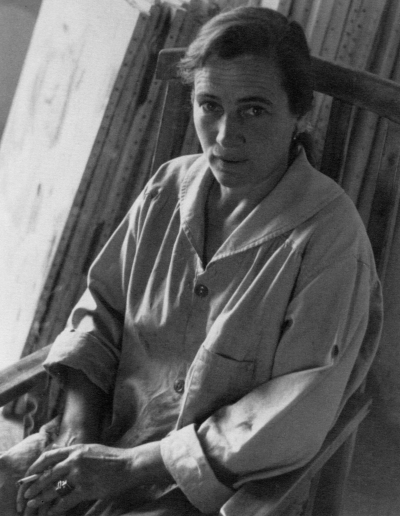 Third & fourth rows: Speaking to The Independent in May 2010, John Squire cited Martin as a key influence on his recent work: "The last big influence was Agnes Martin. She influenced this exhibition a lot. 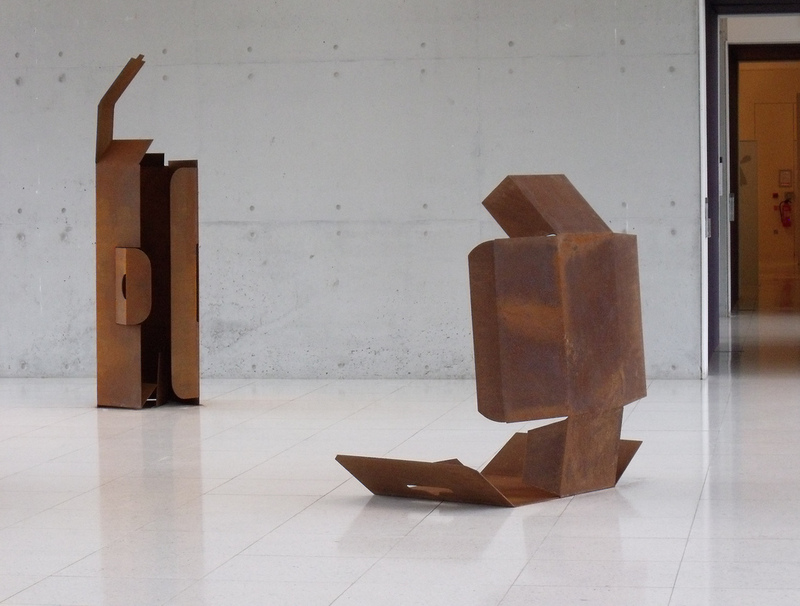 All the small repetitive shapes and very small forms she used to create a whole." 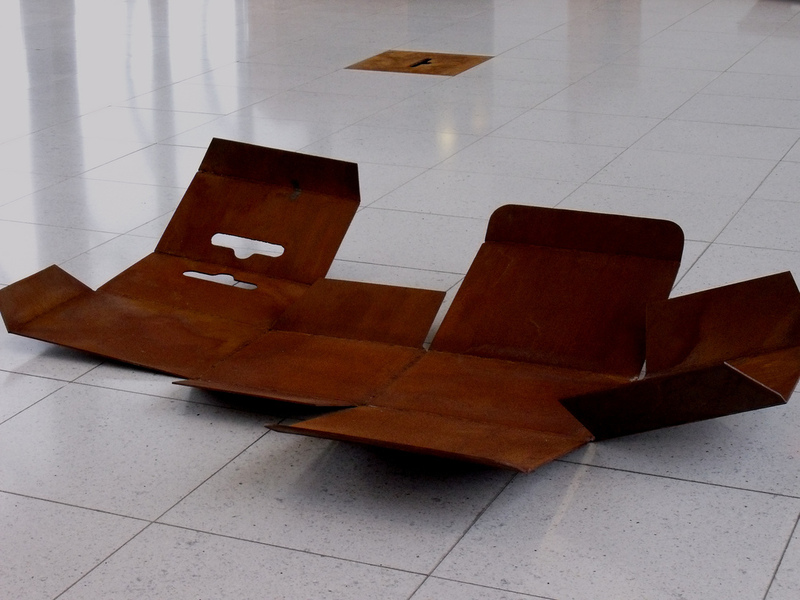 The repetitive shape of John Squire's 'Heat, Light, Death & Industry' exhibition (Oldham Gallery, July 2009) was the Euroslot packaging design. Further photographs can be viewed here, here and here. Relation to The Stone Roses: An influence on John Squire's collage work. Choice works: Retroactive I; Favor Rites; Sphynx Atelier. 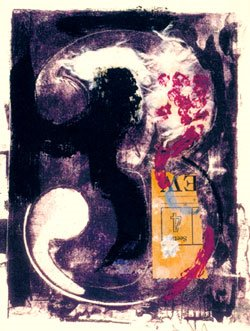 John Squire's Second Coming collage is very much in the style of Robert Rauschenberg, an artist considered, along with Jasper Johns, to be a pivotal figure between Abstract Expressionism and Pop Art. 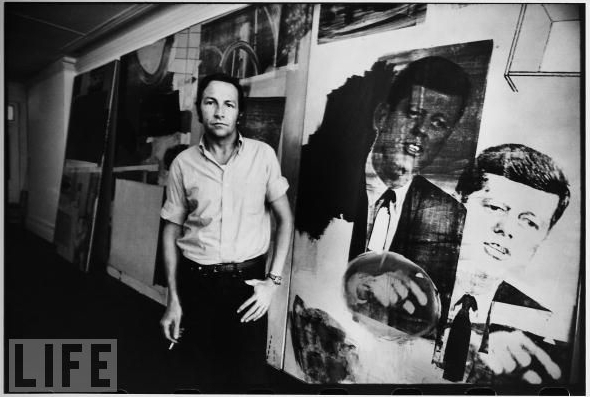 In 1952, Rauschenberg began his series of 'Black Paintings' and 'Red Paintings', in which large, expressionistically brushed areas of colour were combined with collage and found objects attached to the canvas. These so-called 'Combine Paintings' ultimately came to include such theretofore un-painterly objects as a stuffed goat and the artist's own bedquilt, breaking down traditional boundaries between painting and sculpture. Relation to The Stone Roses: An influence on the One Love artwork. 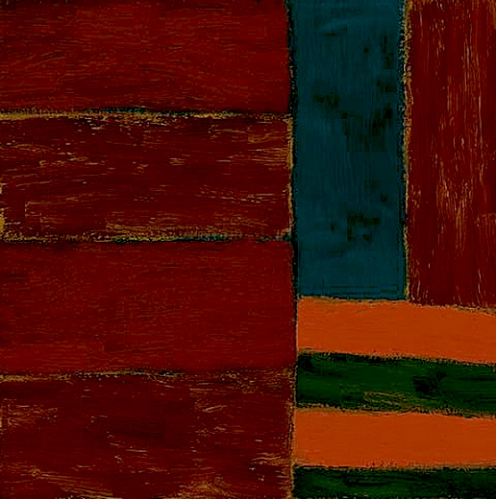 Sean Scully's paintings typically involve architectural constructions of abutting walls and panels of painted stripes. 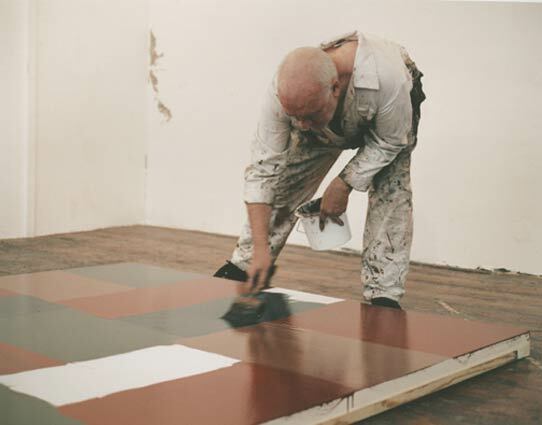 In recent years, he has augmented his trademark stripes by also deploying a mode of compositional patterning more reminiscent of a checkerboard. 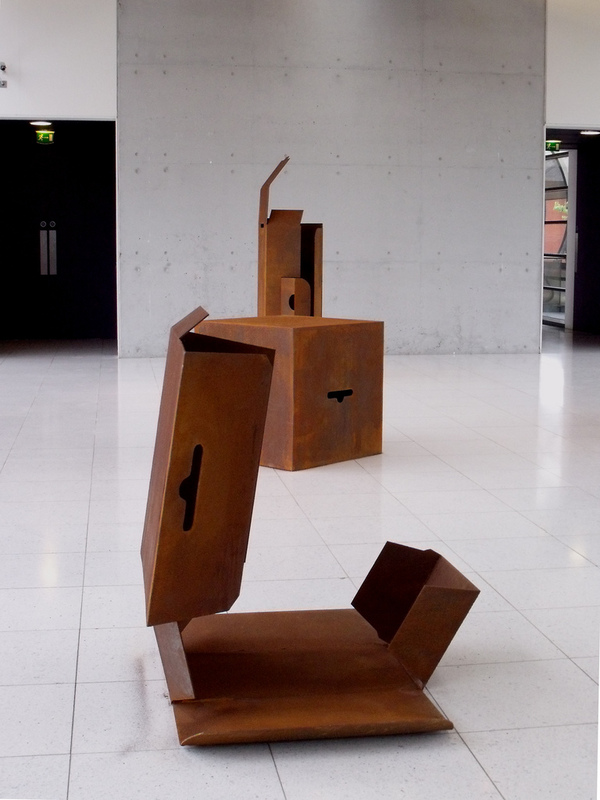 The 'One Love' artwork (right) shares qualities with Scully's work, such as 'Rosa' (1985, left). 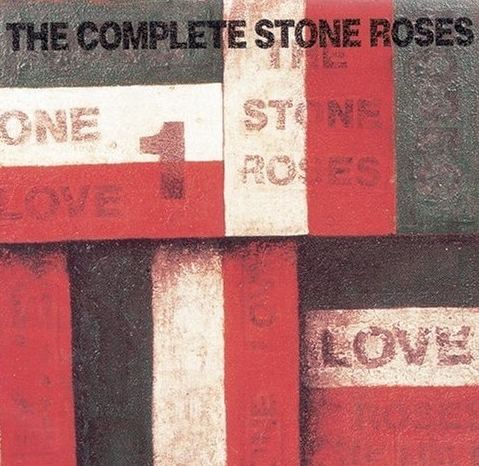 Relation to The Stone Roses: An influence on John Squire's artwork. 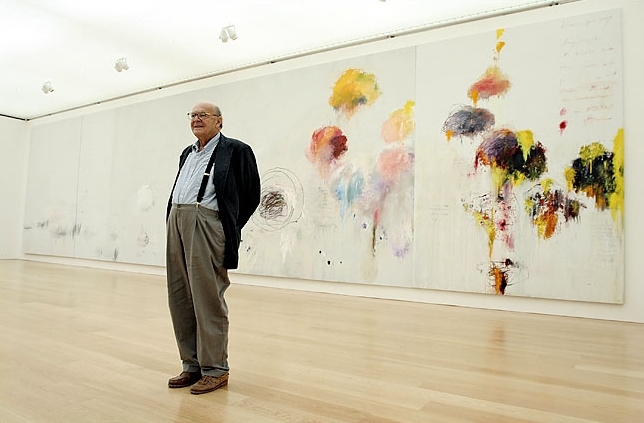 "I actually started to write on my work before I became aware of Twombly. It was after my second show at the Dazed and Confused Gallery in 2007. I decided to write a stream of thoughts on a piece of paper and cut out shapes from the other side and see what was left. Then three months later the Tate Modern asked me to pick a painter from the collection currently on show and talk about it for the camera. I picked Twombly's Quattro Stagioni: Primavera (A painting in four parts: Spring). I recognised in his work a certain freedom and experimentation that really appealed and I wanted to extend that to my own work. I try to be as confident and carefree as the children in my work, and it starts to come more naturally with the volume of work I produce. I'm much less careful than I used to be, especially when I was making music, the painting would be sporadic, I'd be a little uptight, I'd want to get it perfect. Now I know I can make as much art as I like, so long as the sun shines." Cy Twombly, Quattro Stagioni, 1993 - 94. 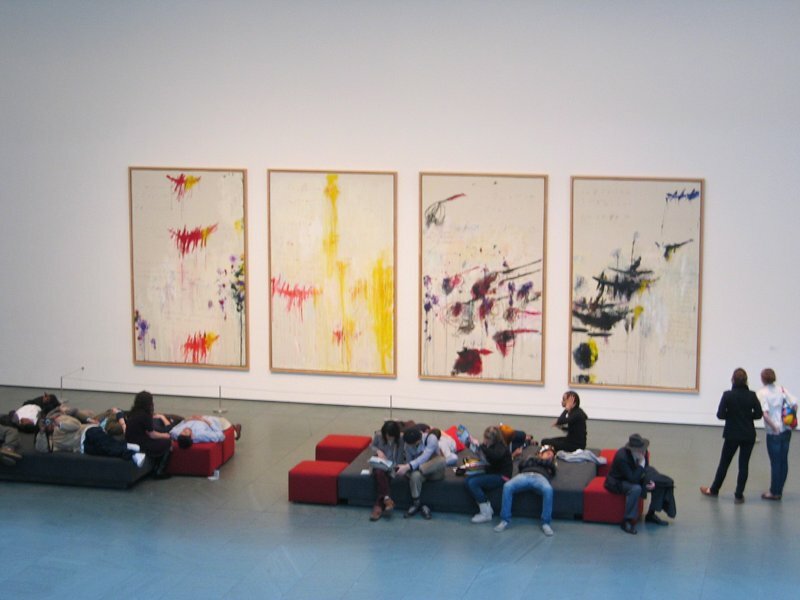 Synthetic polymer paint, oil, house paint, pencil and crayon on four canvases; left to right: Spring, Summer, Autumn, Winter, approximately: 123 1/2 x 74 3/4 inches (313.7 x 189.9 cm) each, Museum of Modern Art, New York City. A range of colours register the changing light and temperature of the seasons. In Squire's choice work, Primavera, (the Italian word for Spring), a resurgence of energy after winter is depicted in a vertical arrangement of red curves and splashes of yellow.